March 9 is Stanley Thompson’s birthday. Thompson was an American nuclear chemist when nuclear chemistry was a brand new subject. 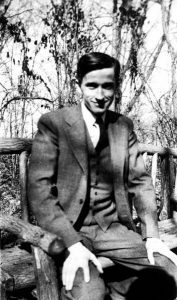 Thompson solved one of the early problems in the United States atomic bomb project. Plutonium looked as if it would perform better as the fissionable material in an atomic bomb than uranium. The scientists knew plutonium could be created in nuclear reactors in fairly significant quantities. The problem was separating the plutonium from the uranium. Early methods yielded plutonium, but were not very efficient and producing enough purified plutonium to build a bomb seemed like a waste of resources. 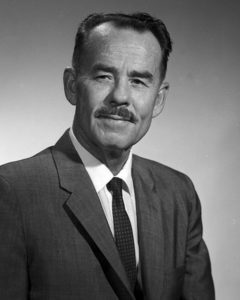 Thompson was invited to the project by his Berkeley classmate Glenn Seaborg. Seaborg knew Thompson was an excellent chemist and suggested he try a phosphate approach to solving the problem. They knew phosphates of heavy metals are insoluble in acidic solutions and just needed to find a phosphate that worked. Thompson tried several heavy metal phosphates without much success. When he tried bismuth phosphate (BiPO4), he found his precipitate contained nearly 98% of the plutonium from the sample. The engineers adapted their plans for the Hartford refinery site to accommodate this new process and Thompson oversaw the upgrade. The site delivered the purified plutonium to be used in the Trinity test. After the war, he returned to the University of California, Berkeley’s chemistry department and led the team that discovered the actinides berkelium, californium, einsteinium, fermium, and mendelevium. He was also responsible for identifying the chemical properties of these new elements. Thompson is one of the lesser known personalities of the early days of nuclear chemistry, but his contributions were significant. 1983 – Ulf von Euler died. Euler was a Swedish physiologist and pharmacologist who shared the 1970 Nobel Prize in Medicine with Bernard Katz and Julius Axelrod for their work with neural transmitters. He was researching the role of noradrenaline in biological and neural tissues. He discovered it was produced and stored in nerve synaptic terminals. 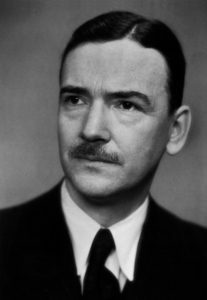 1981 – Max Delbrück died. Delbrück was a German-American biophysicist who shares the 1969 Nobel Prize in Medicine with Alfred Hershey and Salvador Luria for the discovery of how viruses replicate their genetic structure. Together with Luria, they showed bacterial resistance to viruses manifest by random mutations and not adaptive change. 1974 – Earl W. Sutherland, Jr. died. Sutherland was an American biochemist who was awarded the 1971 Nobel Prize in Medicine for his discovery of how hormones work. He isolated cyclic adenosine monophosphate (cyclic AMP) and discovered how it acts as a second messenger in cells. He also demonstrated its role in the actions of hormones on the cellular level. 1961 – The Soviet Union launched Sputnik 9. 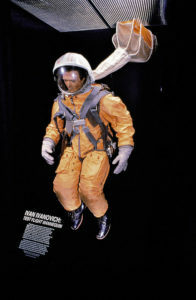 Ivan Ivanovich on display at the Air and Space Museum. The Soviet Union launched their Korabl-Sputnik 4 (known as Sputnik 9 in the West) rocket. This mission was a test flight of what would become the Vostok rocket system which took the first man into space. The rocket lifted off with a dog named Chernushka, mice, a guinea pig, some reptiles, and a test dummy called Ivan Ivanovich. Ivan successfully tested the new prototype ejection seat which was supposed to safely land future cosmonauts. 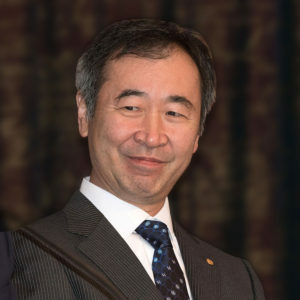 1958 – Takaaki Kajita was born. Kajita is a Japanese physicist best known for discovering the flavors of neutrinos and that neutrinos have mass. He made these discoveries using his mentor Masatoshi Koshiba‘s Kamiokande detectors. Arthur McDonald independently discovered the same thing at the Sudbury Neutrino Observatory. Both men share the 2015 Nobel Prize in Physics. 1934 – Yuri Alekseyevich Gagarin was born. 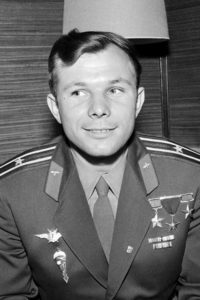 Gagarin was a Soviet cosmonaut who became the first person in space. On April 12, 1961, Gagarin was launched aboard Vostok 1 and orbited the Earth once before re-entering the atmosphere and parachuting to safety. He was never assigned to another spaceflight because of his celebrity and nation’s fear of losing him in an accident. 1923 – Walter Kohn was born. Kohn is an Austrian-American mathematical physicist who shares the 1998 Nobel Prize in Chemistry with John Pople for his research into the density-functional theory which ties quantum mechanics with the electronic density. He also contributed to the studies of semiconductors, superconductors and surface physics. 1912 – Stanley Gerald Thompson was born. 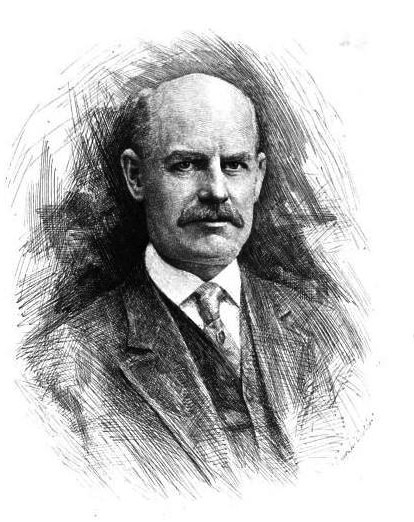 1856 – Edward Goodrich Acheson was born. Acheson was an American chemist who invented the process to create carborundum. Carborundum is also known as silicon carbide and is used as an abrasive, semiconductor material, and ceramic additive. Acheson would receive 70 patents relating to the use and production of silicon carbide. The Acheson process is still used today in the production of silicon carbide. 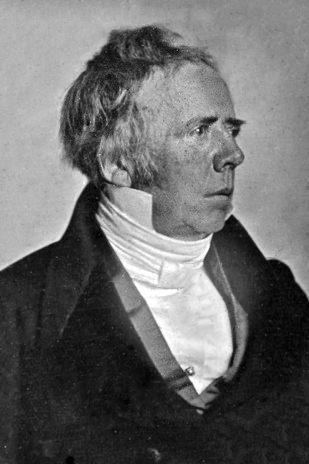 1851 – Hans Christian Østed died. Ørsted was a Danish physicist who showed that an electric current produces magnetic fields. He discovered the needle of a compass would point towards the wire when he allowed an electric current to pass through a wire. He also found if he reversed the direction of the current, the needle would point away from the wire. He initially thought the magnetic field radiated out from the wire like heat. He later discovered the magnetic field actually followed a circular pattern around the wire. These discoveries founded the science of electrodynamics. Both electricity and magnetism had been known for centuries but they were always thought as a separate phenomenon. Ørsted was the first to link them together. Even though he made this significant discovery, the only thing he achieved after it was to write a short treatise and move on to other topics. Electromagnetism would have to wait for French physicist André-Marie Ampère to express this effect through mathematics. Ørsted was the first to isolate an alkaloid found in pepper known as piperine. This chemical is responsible for the black pepper smell. He was also the first to produce metallic aluminum from aluminum chloride. The CGS unit of magnetic induction is named after him. One oersted (Oe) is defined as a dyne (CGS unit of force equal to 10 micronewtons) per unit pole. 1564 – David Fabricius was born. Fabricius was a German astronomer who observed the first variable star. This discovery conflicted with the current idea the stars were eternal and unchanging.